Don’t underestimate your intuition. You don’t have to be a licensed and certified HVAC contractor just to know that your heater isn’t working the way it used to. 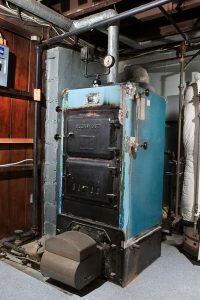 Of course, when that does happen, you might be asking yourself “Did it always perform this way…?” In that case, you can refer to the rest of the items on this list to confirm your suspicions, or you can call up an expert of furnaces in Bay Village, OH for their opinion. A modern-day furnace has a life expectancy of about 16 to 20 years. If your furnace isn’t so modern, you can shave off about five years and expect a solid 15 years of performance. But there’s one disclaimer we have to include: age is only an estimate. Just because your furnace turns 16 doesn’t mean you immediately need to get it replaced. Likewise, just because your furnace doesn’t reach 16 years doesn’t mean it shouldn’t be replaced, either. Age can be a reliable indicator, but whether your furnace will meet or exceed its life expectancy depends on how well you’ve taken care of it over the years. Always consider other factors along with age before making a major decision. You wouldn’t want to live with someone who takes your money and barely provides anything in return. Your furnace can certainly act like this when it’s in need of replacement, namely through higher heating bills and weaker performance. At that point, you’ll be wondering if your furnace is actually fueled on natural gas and not by burning wads of your cash. Keeping your furnace efficient with maintenance can certainly help, but that will become an uphill battle if the furnace is truly in need of replacement. It’s a fact of life that your furnace is going to need a few repairs over its total lifespan. But if a lifetime’s worth of repairs seem to be happening within the last couple years, it’s likely a sign that your furnace is wearing out. If your furnace needs more than one repair within two years, you should start evaluating total repair costs vs. the cost of replacing the unit. If the cost of repairs has exceeded 50% of the replacement cost, it’s a good sign that replacement is an economical decision. Is it time to replace your furnace? You’ve recognized the signs, now let us find out for sure with an inspection. Contact Westland Heating & Air Conditioning to request an estimate.